What does the poster look like? Part one. What happened exactly, before the earth was born? Part 3 – The first ‘air strikes’. 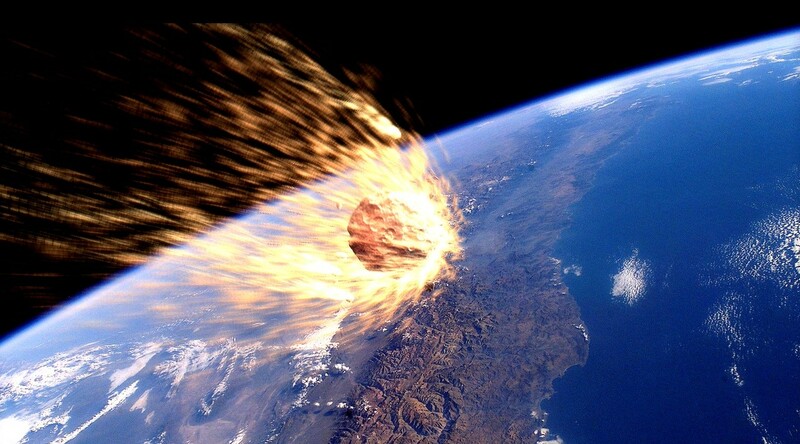 Earth is smashed with mountain-sized asteroids. The Big Bang Explained. Sort of. Day 6 – How Many Galaxies Are Out There? Do you like the taste of hydrogen? Imagine consuming nothing but hydrogen all day and pooping out oxygen. If you were a Cyanobacteria, about the time the earth was a billion years old, that would be your mission and you would have been both loved and hated; loved by the new breed of cells that could lap up all the rich oxygen fuel. Too bad for those anaerobic organisms that were the only life on earth back then. All this oxygen was also laying the foundation for a few future humans to get rich mining all that iron that was rusting out of the water and falling to the bottom to become widespread iron ore deposits. Not long after the first layers were put down, a small mountain-sized rock smacked into Western Australia, about where some of the world’s richest deposits can be found. 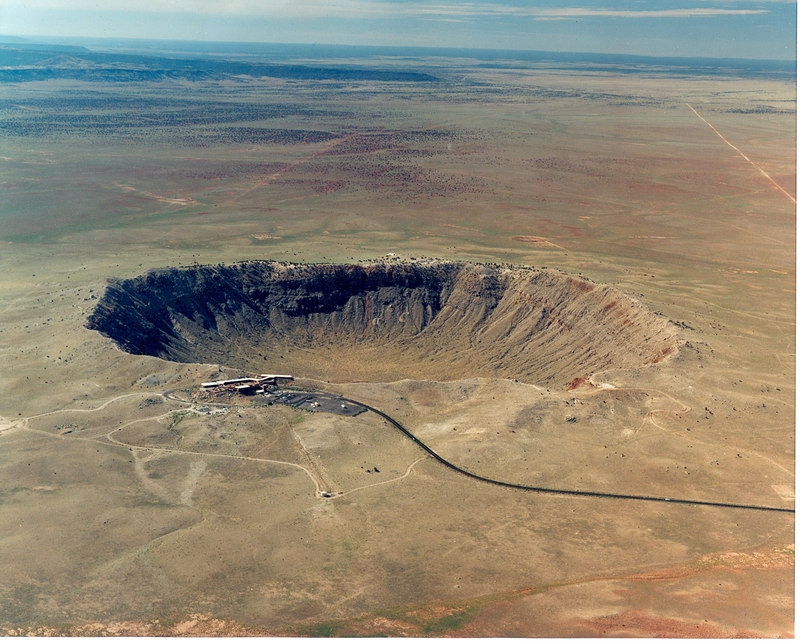 It left a crater 60 kilometres or 36 miles across. Not like the baby pictured here. The Sun has managed 8 laps around the galaxy by 2.63 billion years ago and the earth had slowed its giddy spin to a more sedate 13 hour day. 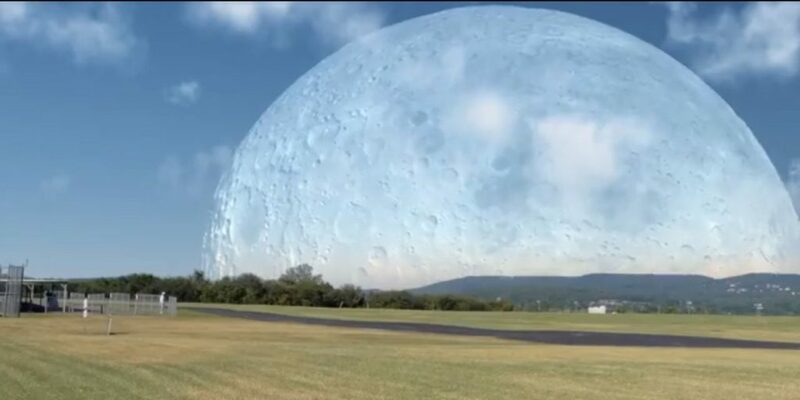 The moon covered half the night sky so it could barely be called ‘night’ due to the vast amount of reflected light that lit up the place when the sun wasn’t shining. Nipping forward now, another quarter of a billion years, (2.38 billion years ago) the Sun had its 9th birthday and the rising oxygen levels had killed off most single cell life but for reasons not yet confirmed, the place got cold. Well, that COULD be a bit of an understatement. Most probably a super volcano or a massive up-welling of magma caused the atmosphere to block out the warming sunlight in a runaway cold snap that saw ice spread from the poles, all the way north and south to the equator. The first ‘Snowball Earth’ event begins. (Read the scientific arguments about the hypothesis here). By 2.130 million years ago, the place was still frozen, the Sun had now travelled 10 times around the galaxy and a day takes just 15 hours before sunrise rise again. Not long after, the massive land mass of the super continent Nuna allows the future northern Europe and north America to wander off and in the process, probably once again by slow release volcanic activity, the earth’s surface begins to thaw and the first ‘Snowball Earth’ event was done. Oxygen is the new fuel. It was a lovely morning, a little over 2 billion years ago, lovely by early earth standards anyway. The air had improved considerably in the last 1,000 million years, gone was the usual toxic mix (to us) of nitrogen and carbon dioxide, replaced by a more comfortable mix that included a copious amount of oxygen, thanks to the efforts of the hardworking blue-green algae. Some of their descendants still live in Australia, as it happens, still pumping out oxygen just as granddad did. So it came as a nasty surprise when a rock, about the size of Pluto came to visit, travelling at the unfriendly speed of a bullet, only fast. The piece of land it targeted was to become a future South Africa, when that land eventually settled in its present position and we could give it a name. South Africa carried the scar, a hole in the ground 300 kilometres across, that’s 180 miles for the metrically challenged, all that way from the south pole. There is one hole that’s even bigger, caused by a different asteroid, but it’s on Mars. The crater was deep too, about as deep as a transcontinental commercial aircraft is high. Next time you are flying, imagine you are now standing on the edge of the hole, which is probably fair too as you wouldn’t be able to see the other side anyway. Standing on the edge of a 30,000 foot cliff might have been a bit unnerving though. Of course, it’s been filled in quite a bit since then, what with rivers pouring silt and rocks into the crater for a couple of billion years. Even a hole that size can be filled in eventually. After a couple of thousand years things settled down and for the following 43 million years, everything was on ‘slow and steady’ time, building up to celebrating The Sun’s 11th birthday, having just completed another orbit around the galaxy. The party lasted 16 hours too, as the earth’s rotation has slowed quite a bit since it collided with little sister Theia all those years ago, creating the original 6 hour day. The Moon, which was the consequence, the child, of Theia’s visit, had also moved off quite a bit, having drifted out to 273,000 kilometes (168,000 miles give or take) so the tides were somewhat less than the 1000 foot high monster tides of the early days. All about The Moon. No, really. 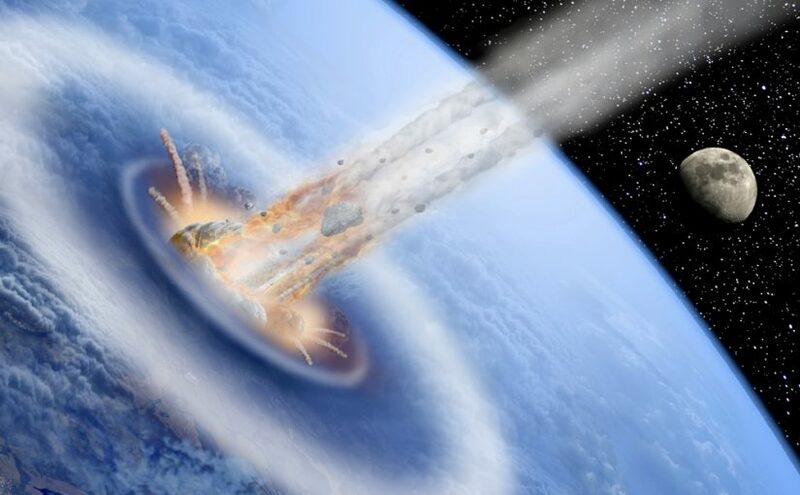 Before The Sun could celebrate another birthday, and there is a fair wait too as they only come around once every 250 million years, another asteroid dropped in, this time onto Canada. This one was not quite as big as Pluto but a lot bigger than Mt Everest and it left the second biggest crater on planet earth at an impressive 250 kilometres wide. As it happens, by the time of the 12th orbit a little later, another smallish mountain, more of a hill really, came by, leaving a modest 30 kilometre wide crater. No worries so long as you were a few thousand miles away and didn’t mind a 10 year winter. One and a half billion years ago, the earth’s crust, which only averages a micro thin 40 kilometres in thickness, began to break up into smaller land masses, drifting across the planet. 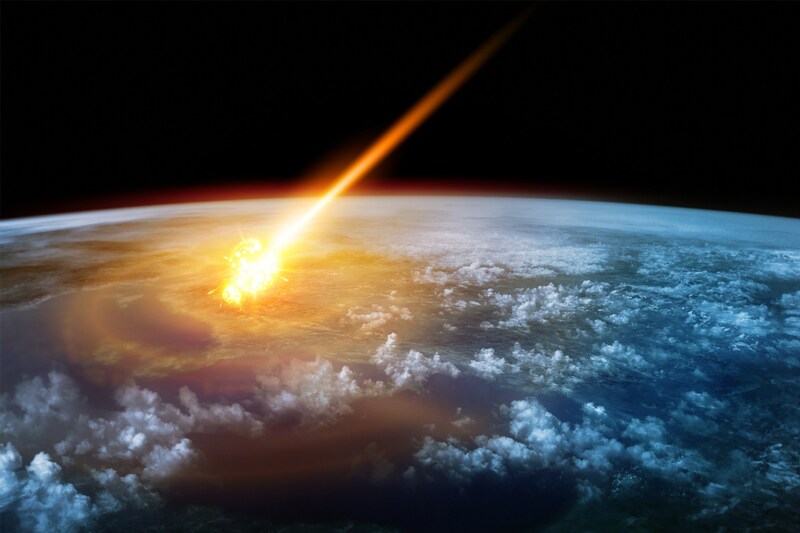 By now, the earth is getting used to new passengers with another asteroid arriving at the 1.45 billion mark, this time opening up a crater in Western Finland 25 kilometres across. In the oceans, groups of cells had evolved in response to the new oxygen levels that had killed off the earlier anaerobic inhabitants. Within some of these cell groups, photo receptor proteins, that is, proteins that react to being hit with a photon of light, had been clumping into small groups, known as primitive ‘eye spots’ as a clue to what they will eventually evolve into. By the Suns 13th birthday, the slowing of the earth’s rotation brought the 18 hour day and by its 14th birthday, the moon was 325,000 kilometres away and a standard day was 19 hours. 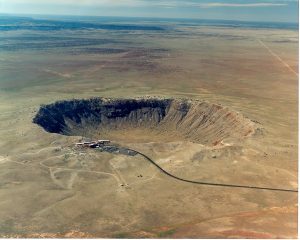 As if to mark the occasion, 1.1 billion years ago, a small mountain asteroid crashed into Australia leaving a 20 kilometre wide crater behind as it disintegrated into dust. All was quite then for the next 100 million years except for the silent collision between Europe and America, which, when joined by a couple of other land masses, formed the Rodinia super-continent. At the southern pole, Australia suffered a massive lava flow where ten of thousands of square kilometres of land are covered by a slow train wreck of hot magma being disgorged from deep in the earth. By the time multi-cell life emerges, around 880 million years ago, The Sun was 15 and the moon had drifted out to 366,000 kilometres although still 40 times larger in the night sky than what we see today. At 750 million years ago, the super continent Rodinia was breaking up already, with part becoming the Gondwana super continent of which Australia and India were a significant part. Unfortunately, the atmosphere was not doing too well as the high carbon dioxide content was dissolving in the rainwater making acid rain, albeit very mild acid, but enough to be absorbed into the rocky surface. This drop in CO2 meant less warming atmosphere and the earth began to cool down. Fast. Again. 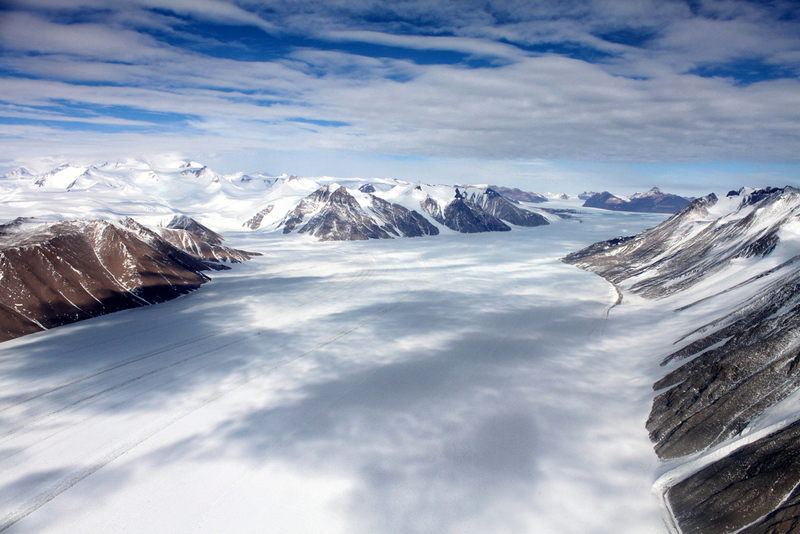 Within a mere 10 million years, ice sheets had formed from the poles and spread towards the equator, for the second time, eventually covering the entire surface, land and sea. 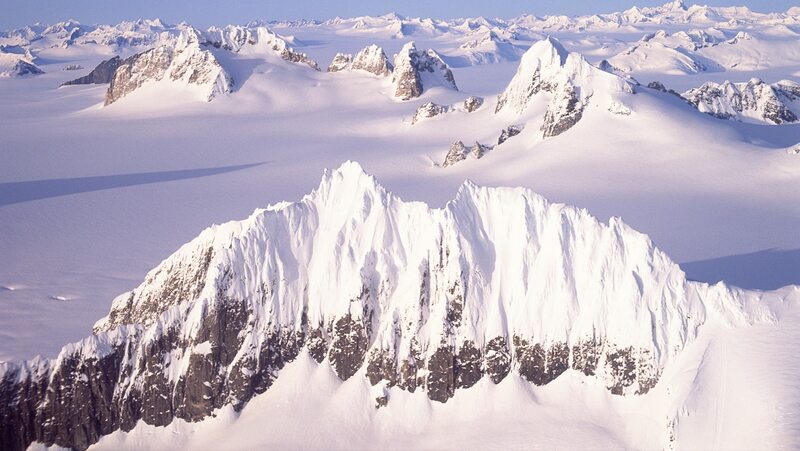 ‘Snowball’ earth was back. The ice was 3 kilometres (nearly 2 miles) thick and it would have stayed that way too, if not for the restless liquid inner mantle and sporadically burst though the ice, pumping out vast quantities of carbon dioxide stored in the aforementioned rocks. For 15 million years, volcanic activity put out the warming CO2 blanket. As the remaining ice-covered rock can’t absorb it, the atmosphere began to warm up again and the sea level began to rise. In that small window, we need to fit in most of what we know about life, but incredibly, even from point, we have to wait another 100 million years just to meet the first animal life. Humans? Maybe in the last few minutes. This article covers around 30 of the 300 ‘Days’ in the Diary of the Universe.